The Fair Use Doctrine allows individuals to use DVDs and other copyrighted items so long as the use does not cause economic harm to the copyright holder. You have the right to purchase, view and show DVDs to others. Educational use, such as showing a DVD to a classroom of students, is also a typical permissible use. However, using a DVD at a series of seminars or other money-making educational venture may not be permissible. 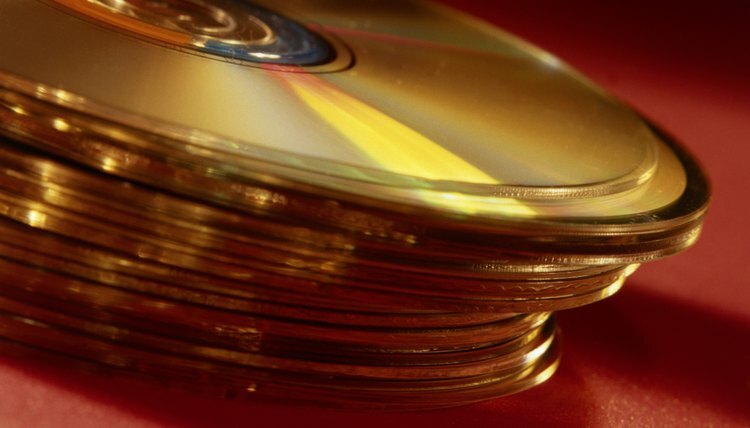 Copyright laws allow DVDs to be copied for archival reasons. However, only one person should have access to the copy. For example, you may make a single copy of a DVD movie if you are concerned about the DVD being scratched or stolen. You may not, however, make copies of the DVD to give or sell to other people, as this use can constitute economic harm to the DVD's creator or copyright holder. The Digital Millennium Copyright Act prohibits altering a DVD for non-personal use and prohibits the use of any technology that interferes with DVD anti-piracy protection. The movie and music industry has taken a strong stand against illegal downloads and pirating. Downloading a movie from a DVD, even for some forms of personal use, is a violation of copyright law and carries hefty penalties. The work recorded onto a DVD is intellectual property; thus, you must pay for access to it. Similarly, uploading the contents of a DVD to a file-sharing or public website is prohibited. Some DVDs contain copyright warnings at the beginning of their embedded movie or on their packaging. You must follow these rules. If you wish to use a DVD in a way that may violate copyright law – such as selling DVDs at a benefit, copying multiple DVDs for students or any other non-personal use – you must seek the permission of the copyright holder who may or may not be the original creator of the work. Locate the name next to the copyright symbol on a DVD's packaging and contact this person or organization in writing. If a name or copyright symbol is not present, determine the identity of the copyright holder by searching for the item using the U.S. Copyright Office's online copyright search database. University of Massachusetts: What is the Digital Millennium Copyright Act?